Hey all, at some of my schools we have finished the textbook and instead of watching movies (as I won't see them often enough to complete both parts of a film over 2 weeks) I wanted to do some super, simple and stress free speaking lessons that I could use for all grades. And what better topic than food? It was a total hit with all my grades, they were very interested and everyone had a chance to speak. So first, I ask "What does favorite mean in Korean?" for the younger and lower level I translate it for them. I've learnt from the textbook favorite is " joh-ahaneun " (좋아하는). Next, I have written on the board "My favorite _________ is from ____________." Then I ask, what's does 'breakfast' mean? and in Korean it's "achim sigsa" (아침 식사). And that's when I fill in the first blank of my sentence - "My favorite __breakfast__ is from ________"
Then I get them to read it, and I say "Okay, now we will watch a video about breakfasts from many countries" (Many countries = "mahnun nara" = 많은 나라 ). Usually they get the gist , and I show them this great buzzfeed video called "What Does the World Eat for Breakfast?" You can, especially for the lower levels , shout out some of the country names in Korean, I don't know many, I just know mee-gook, yongook, indo, etc. While watching, and they are usually really into the video and you'll hear them murmuring "delicious" a few times. Or "ma-si-sseo-sseo-yo" as we in Korean know well. Next, I asked them "Do you know what 'lunch' is?" and they nodded , most know this word. So then I explained the next video would show them lunch from different countries around the world. 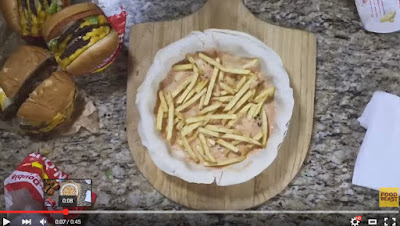 This is also from buzzfeed and even better than the Breakfast video, it includes a Korean lunch. "My favorite __lunch___ is from ________." I personally want to eat France's school lunch - gee, they eat well! Once again, everyone was keen to make the sentence. Next crazy sushi, - this one is a huge hit! The video is called "Can You Sushi it?" and it's amazing, I want to eat all of the sushi made in the video. For the lower level kids I told them sushi is like gimbap and they could easily understand. And for my sentence on the board I wrote: "My favorite __crazy sushi___ is from ________." - they got a laugh from the 'crazy' part. You can get them drawing on a paper or in their books, I wouldn't bother printing anything. 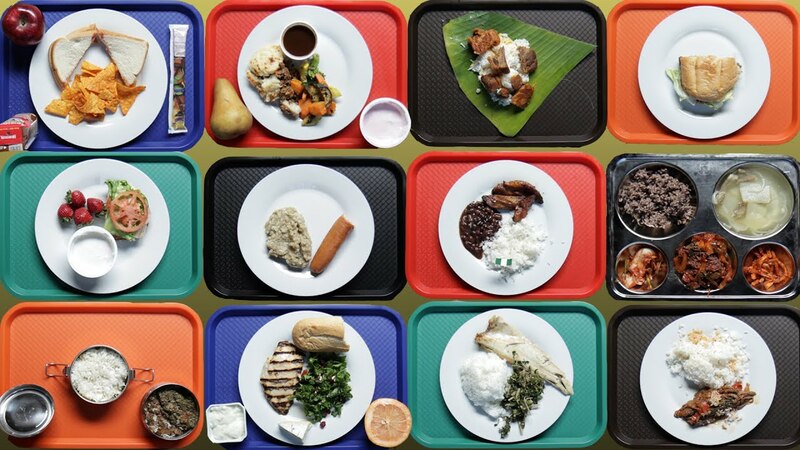 "How Do School Lunches Around The World Look"
"Different types of Hospital Food from around the World"
Hope this helped! Happy Teaching and happy holidays !